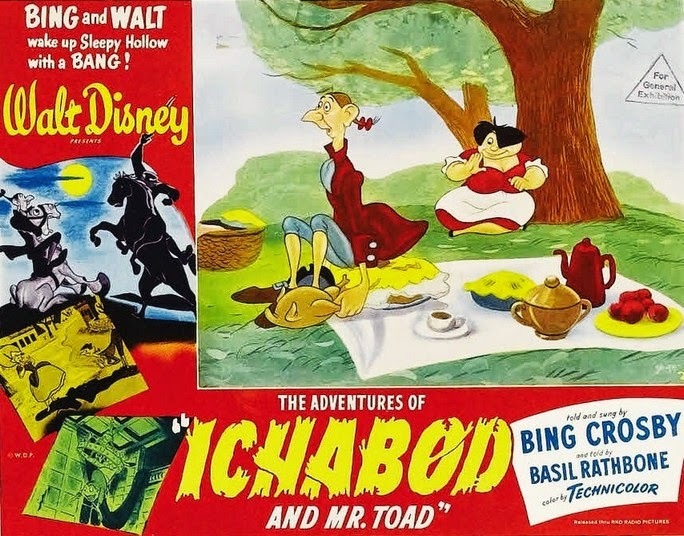 This weekend I watched a beautiful new Blu-ray of Disney's THE ADVENTURES OF ICHABOD AND MR. TOAD (1949). The movie came out as part of a new Blu-ray/DVD combination set along with FUN AND FANCY FREE (1947) and THE RELUCTANT DRAGON (1941), which I have previously reviewed. THE RELUCTANT DRAGON is hidden away on the disc as an extra under "Special Features," although it's a full-length feature film! 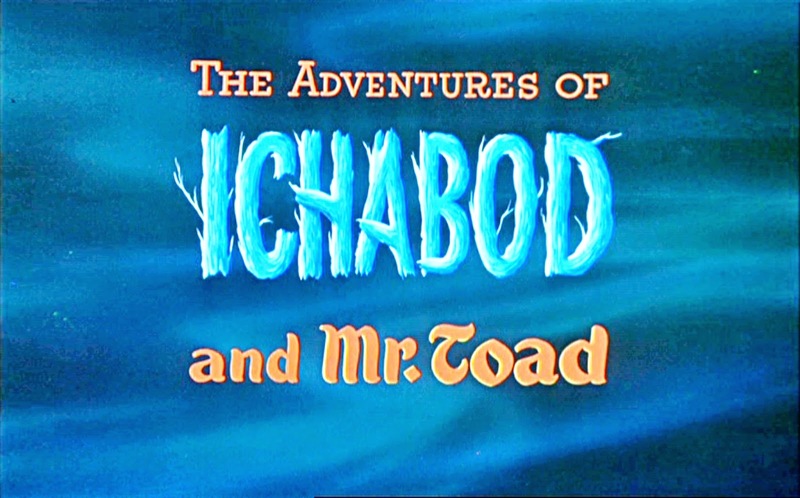 THE ADVENTURES OF ICHABOD AND MR. TOAD is two cartoons in one. MR. TOAD is adapted from Kenneth Grahame's THE WIND IN THE WILLOWS. Somehow I'd never seen this section of the film before. Mr. Toad's Wild Ride and the Storybook Land Canal Boats at Disneyland both now make a whole lot more sense! 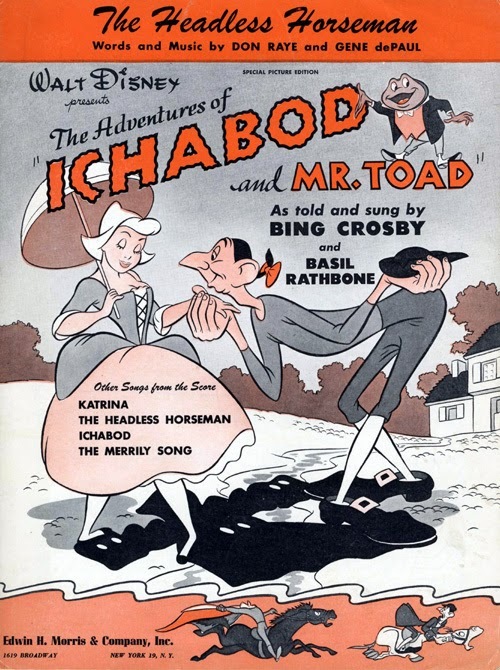 Basil Rathbone is the narrator of MR. TOAD, with the great Eric Blore in the title role. It was amusing enough to hold my attention for roughly half the length of this 68-minute film, but for me the story of a blithely naughty, car-obsessed toad who doesn't deserve his friends was the lesser of the two cartoons. ICHABOD recounts Washington Irving's THE LEGEND OF SLEEPY HOLLOW, and I had seen it multiple times as a child, either at school or on the WONDERFUL WORLD OF DISNEY. However, I hadn't seen it for decades so it was almost like seeing a whole new movie! Bing Crosby narrates, which is great fun and also helps pleasantly defuse the film's genuinely spooky conclusion. Ichabod is a skinny, homely schoolmaster with a bottomless appetite who falls in love with rich Katrina van Tassel, much to the dismay of bully Brom -- who struck me as amazingly like Gaston in Disney's 1991 film BEAUTY AND THE BEAST. At a party one night Brom terrifies everyone, including Ichabod, with his tale of the Headless Horseman, after which Ichabod has a terrifying encounter with the apparition. Did the Horseman spirit Ichabod away? Or did Ichabod flee and marry a wealthy widow in another county? No one knows for sure. In addition to Crosby's singing and amusing asides, I enjoyed the backup singing by the Rhythmaires. Vocal arrangements were by Ken Darby, with the songs by Gene de Paul (SEVEN BRIDES FOR SEVEN BROTHERS) and Don Raye. 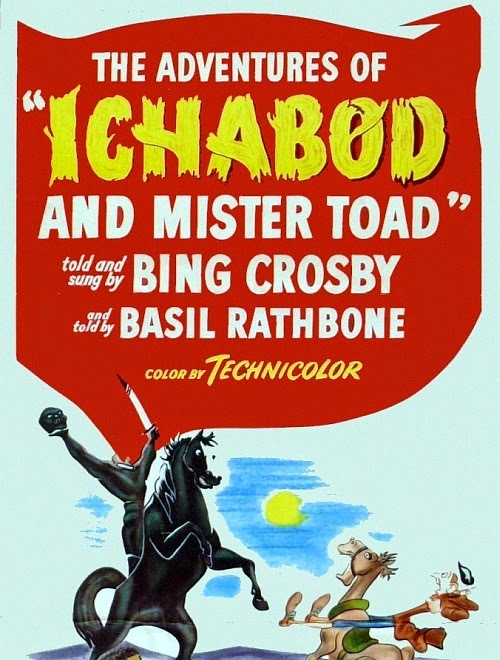 THE ADVENTURES OF ICHABOD AND MR. TOAD was directed by Clyde Geronimi, James Algar, and Jack Kinney. Most of the great Disney animators of the day worked on this film, including Mary Blair, Ub Iwerks, Marc Davis, Claude Coats, Frank Thomas, Ollie Johnston, John Hench, Milt Kahl, Ward Kimball, Wolfgang Reitherman, Eric Larson, Don da Gradi, and John Lounsbery, to name just a few among many. There's a detailed review of the new Blu-ray DVD set by Gene Ehrbar at Animation Scoop. It was this review which initially clued me in to the presence of THE RELUCTANT DRAGON in the set. 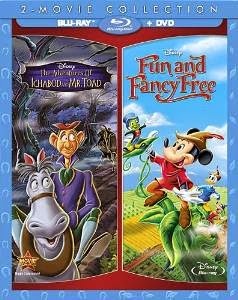 THE ADVENTURES OF ICHABOD AND MR. TOAD was previously released in a Gold Collection DVD and on VHS. FUN AND FANCY FREE had a 50th Anniversary VHS release and a Gold Collection DVD. THE RELUCTANT DRAGON was released on VHS and DVD, and it was also included in the wonderful Walt Disney Treasures DVD set Behind the Scenes at the Walt Disney Studio. 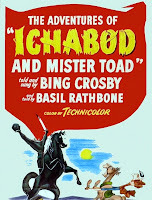 As a postscript, D23 is hosting a screening of THE ADVENTURES OF ICHABOD AND MR. TOAD on the Disney Studios lot on September 13, 2014. Alas, I have a schedule conflict that date, or I'd definitely be going! 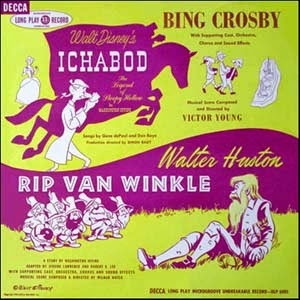 Disney historian Mindy Johnson will be sharing information from the Bing Crosby Archive about Crosby's work on the film. 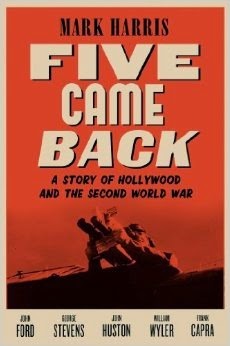 The final book on my 2014 Summer Classic Film Book Reading List is FIVE CAME BACK: A STORY OF HOLLYWOOD AND THE SECOND WORLD WAR by Mark Harris. It's been a near thing getting this book, which is just over 500 pages, read in time for the challenge's September 1st deadline! I've been trying to squeeze it in every moment, from a quick car trip to Arizona a few days ago to lunch breaks -- but really, that's a good way to try to fit any book into a busy schedule. Fortunately my proofreading work slowed down just a bit in recent days due to client summer vacations, which gave me more time for pleasure reading. FIVE CAME BACK tells the story of five of Hollywood's greatest directors, John Ford, George Stevens, John Huston, William Wyler, and Frank Capra, how these men of diverse backgrounds impacted World War II, and how the war in turn impacted them. All five men went to work filming military documentaries during World War II, then came home and made key films including Wyler's THE BEST YEARS OF OUR LIVES (1945), Ford's THEY WERE EXPENDABLE (1945), and Capra's IT'S A WONDERFUL LIFE (1946). The men each served for a few years, recording (and occasionally re-enacting) history as it happened. 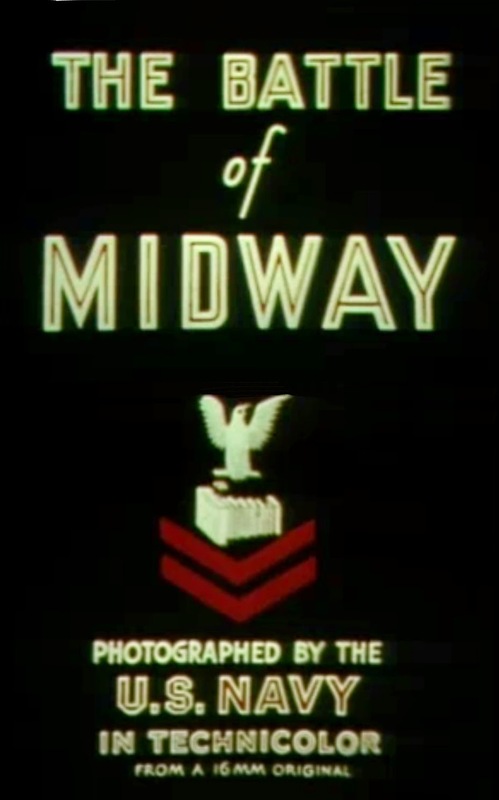 Ford was wounded at the Battle of Midway, Wyler flew combat missions over Germany, and a sickened Stevens recorded what was found when Dachau was liberated. "No rumor or report...prepared the first Allied soldiers into the camps... For some of the men in Stevens's unit, simply bearing witness to so much suffering without taking action themselves was impossible. They abandoned their cameras...One of them...started wandering from bed to bed in the camp's first makeshift infirmary, letting the dying dictate letters to their relatives while he wrote around the clock. He didn't stop or sleep for days." It's a big book which covers a great deal of territory from the years 1938 to 1947, but it's well-organized, well-written, and extensively sourced. (The author spent five years doing primary source research.) It's an important history, and it's also an enjoyable and interesting read. FIVE CAME BACK was published by the Penguin Press. It's 511 pages including the index. There are two sections of photographs printed on glossy paper. Here are additional reviews of FIVE CAME BACK by film historians Leonard Maltin and Thomas Doherty. The Self-Styled Siren interviewed author Mark Harris, and Lou Lumenick discusses how the directors "restaged" some of the scenes in their documentaries. Lou includes links to a few of their famous wartime films including Wyler's THE MEMPHIS BELLE (1944) and Huston's SAN PIETRO (1945). Miscellaneous bits of news and fun stuff from around the Internet...the Labor Day Weekend edition! 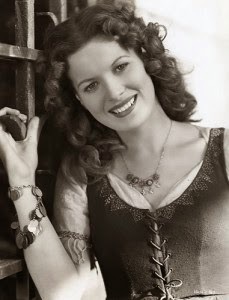 ...Fantastic news broke last week: the great Maureen O'Hara will receive an Honorary Academy Award. Also being honored is legendary Japanese animator Hayao Miyazaki (THE WIND RISES). The Jean Hersholt Humanitarian Award goes to Harry Belafonte. The honorary awards will be presented at a dinner on November 8th. ...Calling Jack Webb fans! Toby's new blog, The Hannibal 8, will be hosting a Jack Webb blogathon from October 17th to 19. Visit The Hannibal 8 for details and to sign up! I'm going to be writing on the 1954 DRAGNET feature film, which has a fantastic cast. 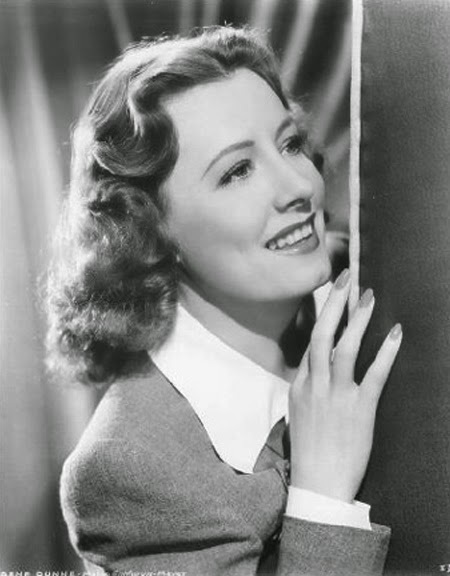 ...Please visit my latest column at ClassicFlix, on the great Irene Dunne. It includes a biographical sketch and recommendations of a dozen wonderful films starring an actress equally at home in dramas, comedies, or musicals. ...Over at Radio Spirits, Ivan has written a very informative piece on Anne Whitfield, whom I have only known as Susan in one of my favorite movies, WHITE CHRISTMAS (1954). She had a very interesting career including playing the daughter of Phil Harris and Alice Faye on their radio show. ...Glenn Erickson reviews the new Twilight Time Blu-ray of Fritz Lang's MAN HUNT (1941) at DVD Savant. Walter Pidgeon, George Sanders, and Joan Bennett star. 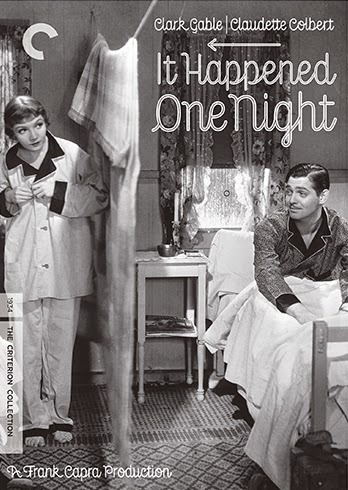 ...Coming from the Criterion Collection on November 18th: IT HAPPENED ONE NIGHT (1934). Love the cover art! 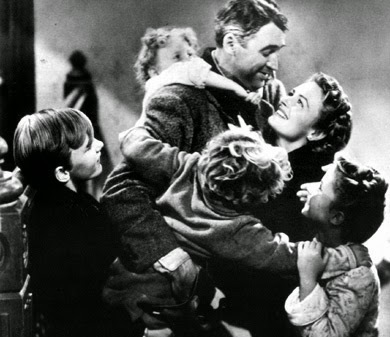 My review of the film as seen at the 2013 TCM Classic Film Festival is here. ...Rick reviews Tyrone Power in THE MISSISSIPPI GAMBLER (1953) at the Classic Film & TV Cafe. Rick recently had the wonderful chance to interview leading lady Piper Laurie. ...Everything I've read about the Warner Archive's new OUT OF THE PAST (1947) Blu-ray is stellar. Here's KC's review at A Classic Movie Blog. Looking forward to reviewing it in the near future! ...Vienna's Classic Hollywood shares info on a book which looks quite interesting: DEATH ON THE CHEAP: THE LOST B MOVIES OF FILM NOIR by Arthur Lyons. 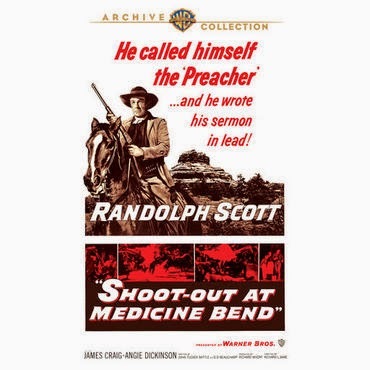 ...Coming from the Warner Archive: Randolph Scott and James Garner in SHOOT-OUT AT MEDICINE BEND (1957), which I reviewed in 2011. 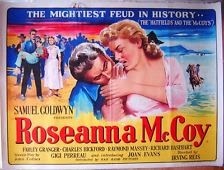 RATON PASS (1951) with Dennis Morgan and Steve Cochran looks interesting too. ...Kristina has a terrific Dennis O'Keefe photo gallery at Speakeasy. ...Here's Seth Mandel on SPORTS NIGHT and the beauty of baseball at Commentary. ...David Hyde Pierce of FRASIER will play a recurring role in the upcoming sixth season of THE GOOD WIFE. ...Rodgers & Hammerstein's rarely seen 1947 musical ALLEGRO is being revived off Broadway this fall. 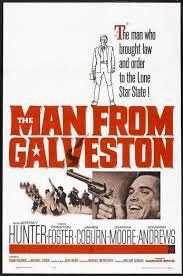 ...My recent review of THE MAN FROM GALVESTON (1963) has been adapted and posted at MovieFanFare. My thanks to MovieFanFare for sharing my film writing with a wider audience! ...Hello Kitty isn't a cat? Say what? And did you know Hello Kitty has been around now for 40 years? A 40th anniversary Hello Kitty convention is coming to The Geffen Contemporary in the Little Toyko section of Los Angeles from October 30th through November 2nd, 2014. I admit I'm also fond of Chococat. ...It's time for college football! 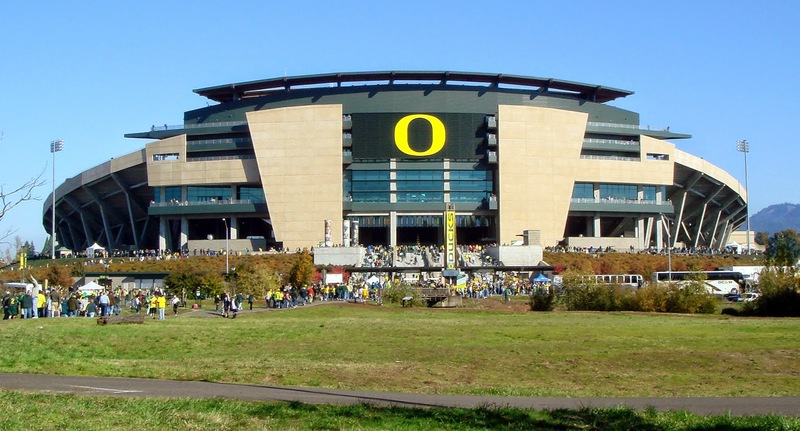 Our daughter is a sophomore sax player in the University of Oregon Marching Band. She's also Assistant Section Leader this year. Here's Oregon's schedule. Next Saturday is the big game against Michigan State. ESPN GameDay will be there filming bright and early, which means the band gets up at dark o'clock! 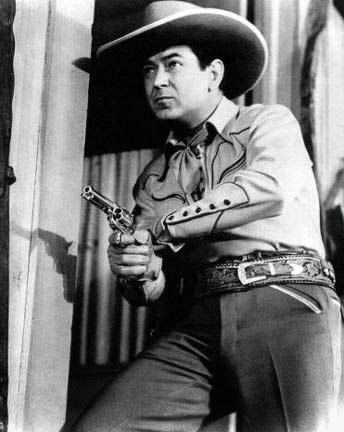 MAN FROM SONORA (1951) is a Monogram "B" Western starring Johnny Mack Brown. It's available on DVD in the Monogram Cowboy Collection, Vol. 1, from the Warner Archive. 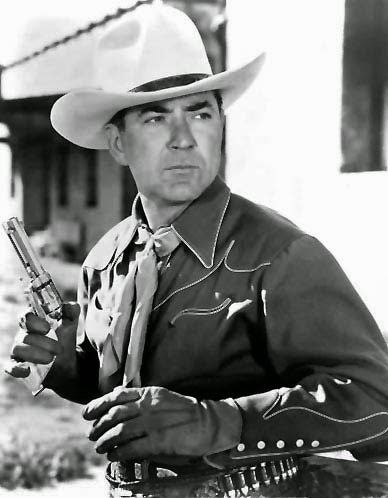 I had previously enjoyed Brown in supporting roles as a sheriff in the Rod Cameron Westerns STAMPEDE (1949) and SHORT GRASS (1950), but this was my first time to see him starring in a "B" Western. MAN FROM SONORA was a pleasant surprise. It was well-made and engaging, with a nice sense of energy. The dialogue and acting wasn't all stellar, but it was good enough, with Phyllis Coates a lively and intelligent leading lady. (Coates, who played Alice in the JOE McDOAKES shorts, is now 87.) The film moved along and held my attention throughout. Brown doesn't cut a traditional leading man figure; for one thing he was way too old for Coates, but fortunately their relationship wasn't developed beyond her smiling admiringly at him. That said, he's personable, with his friendly authority capturing attention from the opening scene where his beloved horse is stolen by stage robbers. The way he handled it rather reminded me of George O'Brien in the opening scenes of the first O'Brien Western I saw, GUN LAW (1938), where he's confronted by an outlaw. After Johnny's horse is stolen, he hitches a ride into the nearest town, where he works to recover his horse and solve the stage robbery. I'm sure no one familiar with Westerns will be surprised that a seeming pillar of the community, the too-friendly Ed Hooper (House Peters Jr.), is the ringleader of the bad guys. Good ol' Lyle Talbot plays the sheriff, an old friend of Johnny's, who's caught between the desire to do right and aid his friend on the one hand and playing town politics on the other. One gets a good sense of the weather from this film. Some of the scenes are quite breezy, and a couple scenes with a stagecoach pulling into town seem to have been shot in early morning fog. I think I could even see the breath from an extra; it must have been chilly! The black and white photography was by Gilbert Warrenton. According to A Drifting Cowboy, which featured the nice still below to the right, the film was shot at Iverson Ranch. MAN FROM SONORA runs 54 minutes and was directed by Lewis D. Collins from a screenplay by Maurice Tombragel. The supporting cast included Lee Roberts, Dennis Moore, John Merton, and Stanley Price. 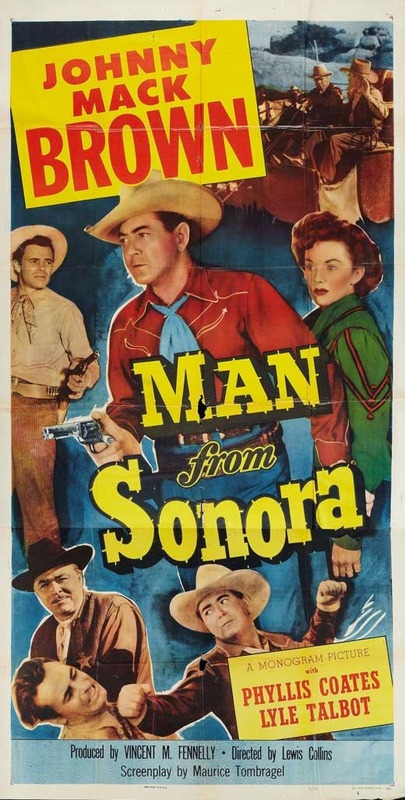 The Warner Archive print of MAN FROM SONORA was excellent. It's rather amazing that a relatively unsung little Monogram "B" Western could look so nice over six decades later! 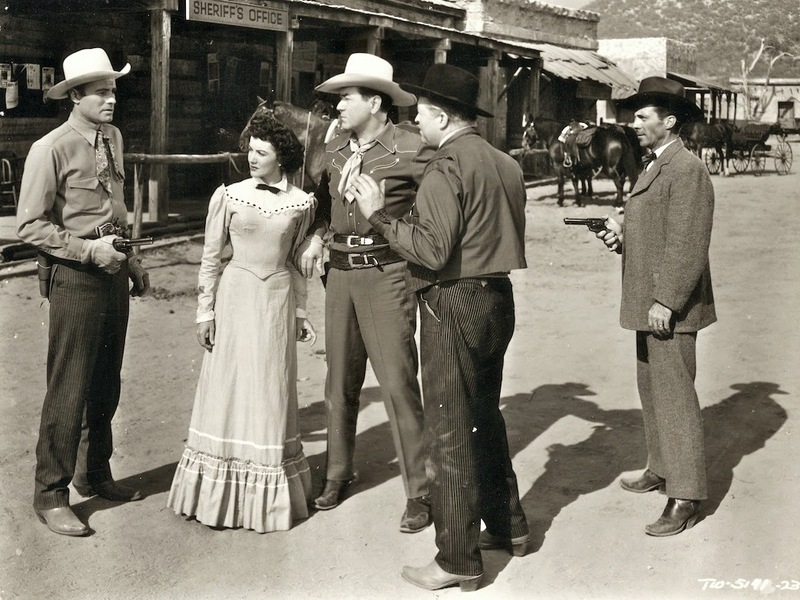 I previously reviewed Rod Cameron in CAVALRY SCOUT (1951), the only color film in this set. 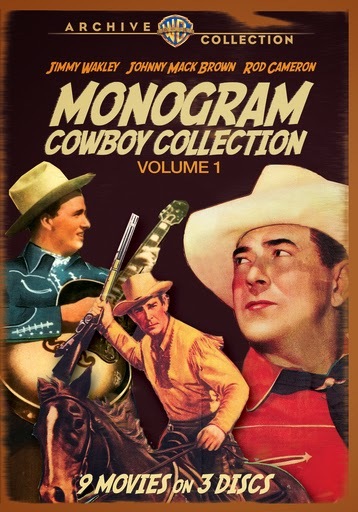 I'll be reviewing more Johnny Mack Brown and Jimmy Wakely movies from Volume 1 of the Monogram Cowboy Collection in the days to come. Based on seeing the first two films, this set is a nice treat for those who enjoy exploring lesser-known films in the Western genre. The summer is sadly drawing to its close, but Turner Classic Movies ensures we'll all have a wonderful September with an extra-fantastic schedule. Melvyn Douglas is the September Star of the Month beginning on Wednesday, September 3rd. Fridays in September are also quite exciting, as TCM is expanding its Friday Night Spotlight franchise and featuring 24-hour marathons of pre-Code classics each and every Friday in September, beginning on the 5th. In the meantime, here's a look at just a few of the other interesting titles airing on TCM this month. All title links lead to my past reviews. ...Joel McCrea and Fay Wray star in the classic pre-Code adventure THE MOST DANGEROUS GAME (1932) on Monday, September 1st. 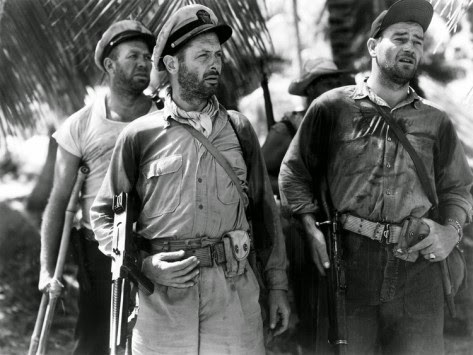 ...William Holden is being honored with a tribute during the daytime hours on Tuesday, September 2nd. 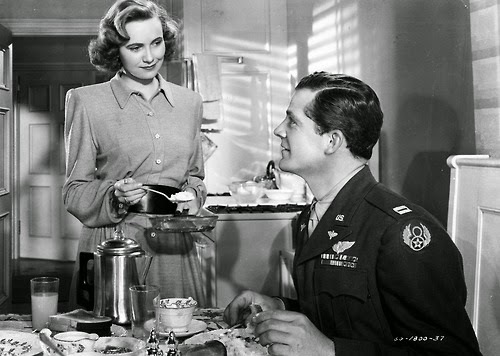 I very strongly recommend FORCE OF ARMS (1951), a WWII romance costarring Nancy Olson, which I saw for the first time just last week. 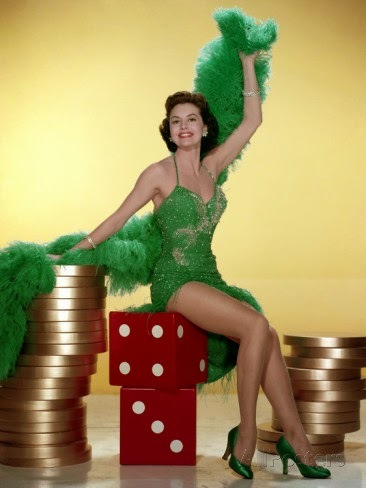 ...The colorful MEET ME IN LAS VEGAS (1957), starring Cyd Charisse and Dan Dailey, is a perfect film to chase away the end-of-summer blues. Cyd has some great dances, and she's beautifully costumed by Helen Rose. It airs on September 3rd. ...On September 4th, Tim Holt and Bonita Granville star in Edward Dmytryk's HITLER'S CHILDREN (1943). ...I wrote about seeing THE SNIPER (1952) for the first time earlier this month. It airs on September 4th. Adolphe Menjou as a rumpled police detective, sans mustache, was unexpected casting. ...A day of movies about horses on September 8th includes WILD STALLION (1952) with Ben Johnson and Martha Hyer, who passed on earlier this summer. ...I "zoned out" in the middle of the British comedy ON APPROVAL (1944) at this year's TCM Fest -- 14 movies in 3-1/2 days will do that to anyone! -- and consequently found myself a bit confused, especially as I had trouble keeping the leading men straight. I'm curious to take another look. It's on September 8th. 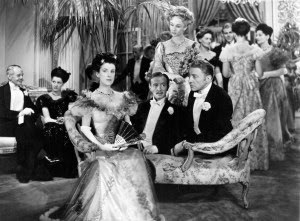 The movie stars Beatrice Lillie, Googie Withers, Roland Culver, and Clive Brook, directed by Brook. Please visit Kim's post at I See a Dark Theater for much more on this unique film. ...ROSEANNA MCCOY (1949) is on the schedule September 9th, after being dropped from the tentative online schedule earlier this year. Farley Granger and Joan Evans star, with an interesting supporting cast playing the Hatfields and McCoys. ...September 10th is a terrific day for fans of "B" movies, with several lesser-known titles on the schedule and casts including Regis Toomey, Julie Bishop, and Robert Sterling. I'm especially interested to see Edward Arnold as a blind detective in THE HIDDEN EYE (1945), as I enjoyed his first film as the same character, EYES IN THE NIGHT (1942). FOLLOW ME QUIETLY (1949) with William Lundigan is a good one airing on this date. ...My husband fondly recalls ZEBRA IN THE KITCHEN (1965) with Martin Milner and Jay North (DENNIS THE MENACE). I've calendared to record it on September 11th. 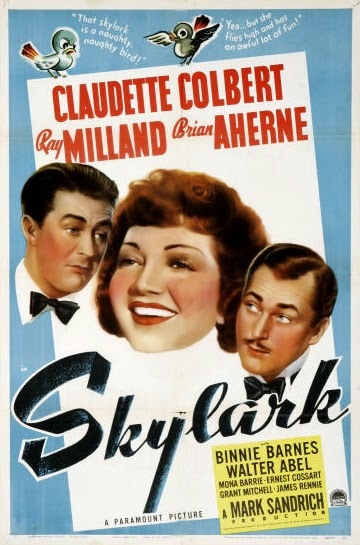 ...Those who missed SKYLARK (1941) on Claudette Colbert Day this month have another chance on September 14th. It's not the best film made by Colbert, Ray Milland, and Brian Aherne, but they're great company even in a weaker vehicle. ...A 24-hour tribute to the late Lauren Bacall begins Monday evening, September 15th, and concludes on her birthday, September 16th. Please visit my post TCM Remembers Lauren Bacall for details. ...The theme is "Bad Boys of the '50s" on September 17th, and the films include Sterling Hayden in THE ASPHALT JUNGLE (1950), Charles McGraw in the fantastic THE NARROW MARGIN (1952), and Hayden and Frank Sinatra in SUDDENLY (1954). 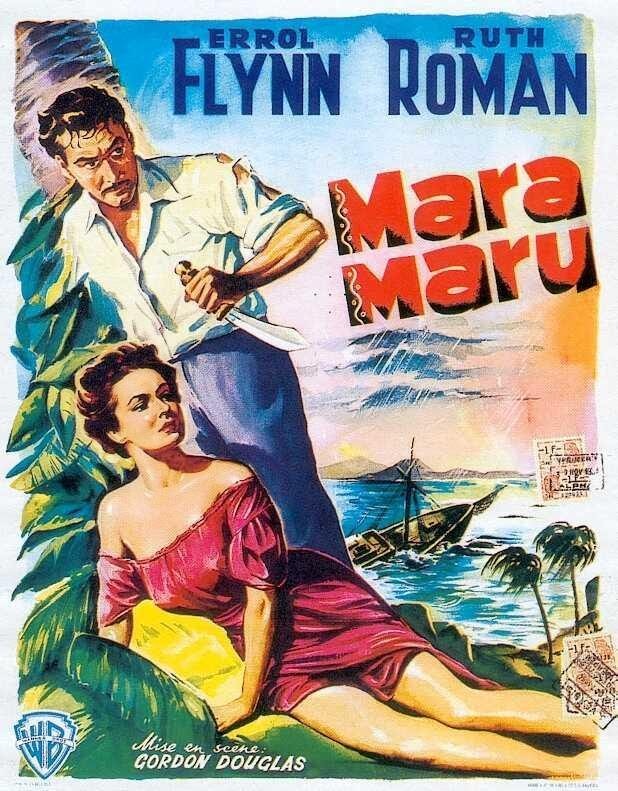 ...Errol Flynn, Ruth Roman, and Raymond Burr star in MARA MARU (1952), directed by Gordon Douglas, on September 20th. ...One of my favorite Esther Williams films, NEPTUNE'S DAUGHTER (1949), airs on Sunday, September 21st. Ricardo Montalban, Betty Garrett, and Red Skelton costar. 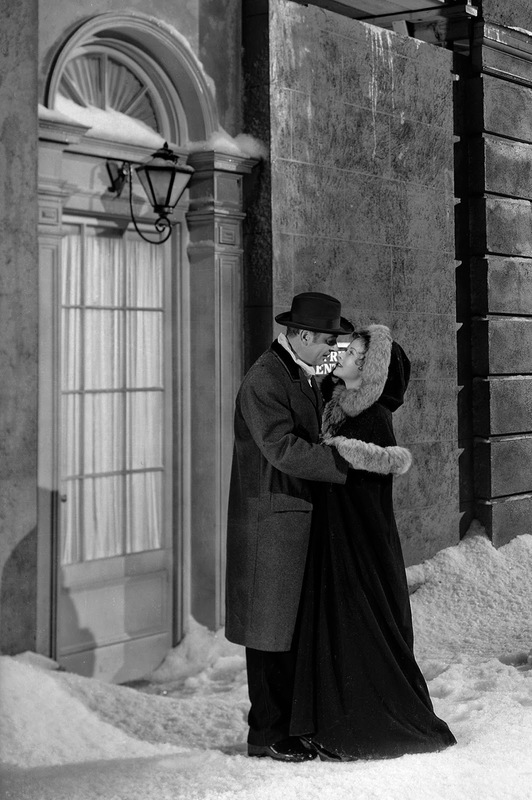 The film introduced the Oscar-winning "Baby It's Cold Outside." ...THE OFFICE WIFE (1930) is an entertaining hour-long pre-Code starring Dorothy Mackaill, Lewis Stone, and Joan Blondell. It's shown on the 22nd. 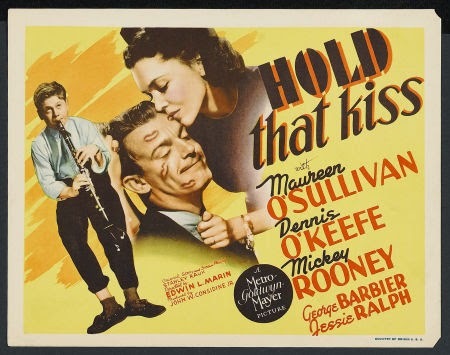 ...Dennis O'Keefe and Maureen O'Sullivan star in the programmer HOLD THAT KISS (1938) on September 23rd. ...Another Esther Williams favorite, EASY TO LOVE (1953), airs on September 24th. Van Johnson and Tony Martin costar. ...There's more Dennis O'Keefe on September 25th, when TCM honors him with a tribute showcasing his work in half a dozen films, including Anthony Mann's RAW DEAL (1948) and T-MEN (1947). O'Keefe is an actor I've really come to appreciate in recent years, and I'm delighted that TCM is honoring him in this way. Until then, check out Kristina's O'Keefe photo gallery at Speakeasy! ...The 1929 version of THE DESERT SONG airs on September 29th. 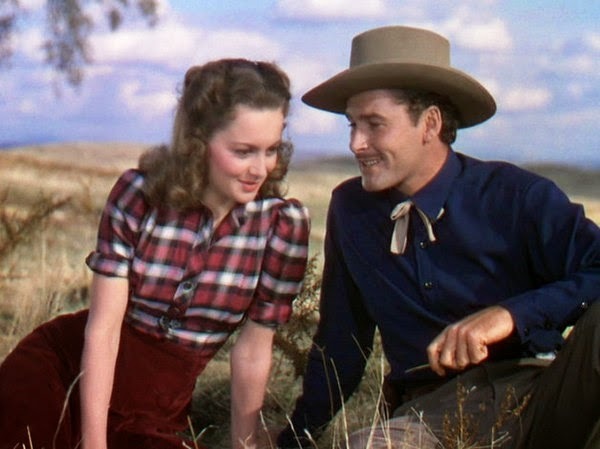 ...Favorite screen team Errol Flynn and Olivia de Havilland star in the Western DODGE CITY (1939) later on September 29th. ...A September 30th tribute to Deborah Kerr includes the very entertaining MGM film THE HUCKSTERS (1947), also starring Clark Gable and Ava Gardner. For much more on TCM in September, please consult the complete schedule. 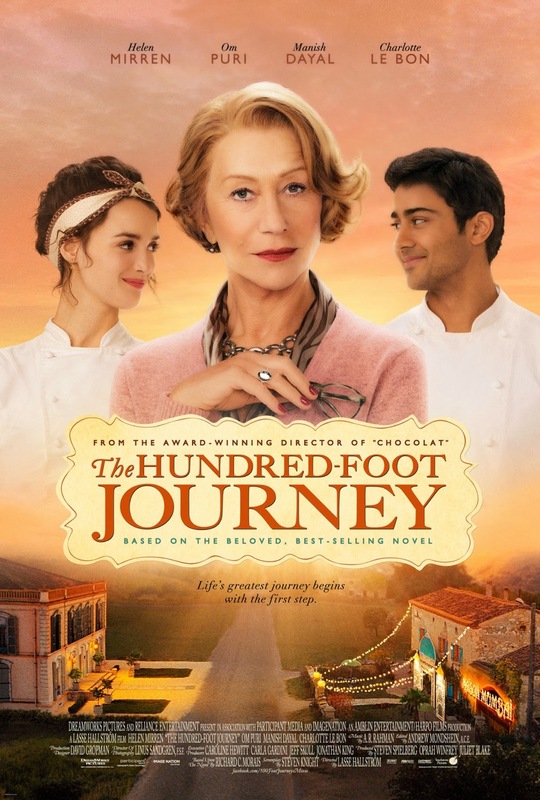 THE HUNDRED-FOOT JOURNEY is the enjoyable story of a gifted young Indian chef who rises to prominence with the help of a famed French restaurateur. 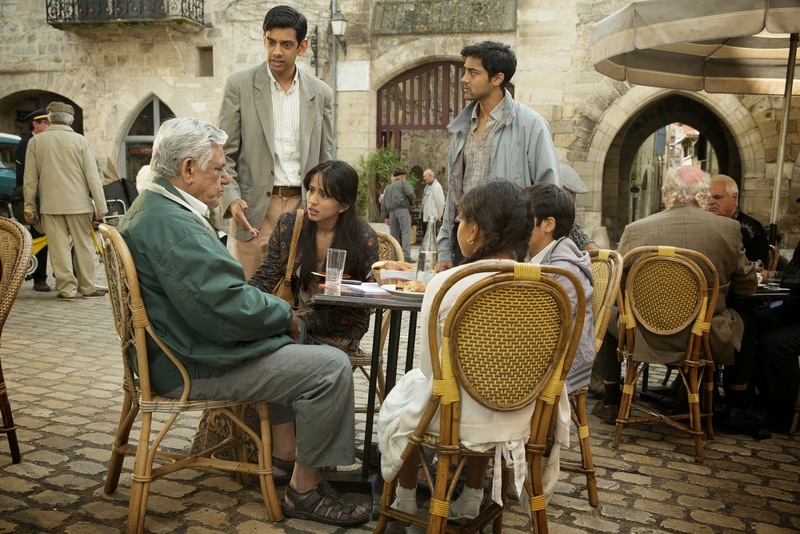 Manish Dayal plays Hassan, the chef, who leaves India with his father (Om Puri) and four siblings after political unrest leads to tragedy, including the loss of the family restaurant. The family ultimately settles in a village in France, opening a restaurant right across the road from a Michelin-starred restaurant run by snooty Madame Mallory (Helen Mirren). Madame is not thrilled by what she regards as a tacky eatery opening so close to her elegant restaurant. Madame, in fact, is quite a snobby witch for rather a long time, but circumstances eventually lead to her recognition of Hassan's talent and a warming of relations, as Hassan joins forces with Madame in an attempt to gain her restaurant a second Michelin star. Hassan also faces conflict with Marguerite (Charlotte Le Bon), a young sous chef who initially encourages his interest in learning about French cooking but who later feels stung when his success eclipses hers. The film is nicely made, depicting the clash of cultures and cuisines. I suppose one could say it's a bit by-the-numbers in not being very surprising, but that's also one of the film's strengths: It goes where you want it to go, and in the end the viewer feels better for having seen it. I did agree with Leonard Maltin that this 122-minute movie runs out of steam toward the end. There was a natural stopping point earlier in the film and what came after that seemed disjointed. All in all, however, I found this a very satisfying couple of hours at the movies. Here's another review by Kenneth Turan of the Los Angeles Times, who says the film is the "cinematic equivalent of comfort food." THE HUNDRED-FOOT JOURNEY was directed by Lasse Hallstrom. The Steven Knight screenplay was based on a book by Richard C. Morais. It was filmed by Linus Sandgren. Parental Advisory: This film is rated PG. There are brief moments of disturbing violence. Other than that, THE HUNDRED-FOOT JOURNEY is about as family-friendly as movies get in 2014. This film would make a good double bill with another film about a chef working in France, HAUTE CUISINE (2012). Additional "new" movies reviewed this year: JACK RYAN: SHADOW RECRUIT (2014), THE MONUMENTS MEN (2014), THE LEGO MOVIE (2014), THE WIND RISES (2013), NON-STOP (2014), 3 DAYS TO KILL (2014), DRAFT DAY (2014), and MILLION DOLLAR ARM (2014). For the fifth book on my 2014 Summer Classic Film Book Reading List I chose JACQUES TOURNEUR: THE CINEMA OF NIGHTFALL by Chris Fujiwara. With the exception of CANYON PASSAGE (1946) and OUT OF THE PAST (1947), both of which I first saw a decade or more ago, my acquaintance with the work of director Jacques Tourneur has all come within roughly the last four years. Watching a dozen of Tourneur's films, including a revisit to CANYON PASSAGE last year, has been a rich viewing experience. His movies are beautifully staged, blending countless details, such as the endless bits of bric a brac seen in EXPERIMENT PERILOUS (1944) or the pleasantly stuffed British homes of CIRCLE OF DANGER (1951), with panoramic vistas such as the Oregon landscapes of CANYON PASSAGE (1946), the unforgettable opening of Joel McCrea riding across the prairie in WICHITA (1955), or CIRCLE OF DANGER's windswept Scottish heath. Tourneur's films are not meant to be watched casually, as there are complex relationships to untangle, with story and emotions sometimes revealed only through visuals. Taken as a group, I think of his films as having a thoughtful, intelligent air, and they provide very rewarding viewing. I have yet to see a Tourneur film I didn't like. Fujiwara's book deepens the experience of enjoying Tourneur's films, providing a film-by-film analysis of each Tourneur movie. I knew I would enjoy the book when I first turned to the relatively unsung EXPERIMENT PERILOUS, which really began my interest in Tourneur, and found that Fujiwara described it as "Sadly neglected and often underrated, this is one of Tourneur's most personal and beautiful films." Having fallen in love with the movie myself at the 2010 Noir City Film Festival, I was thus ready to read on, feeling in sync with the author. Fujiwara looks closely at each film's "precisely judged details of performance, decor, and composition" -- those words come from his description of WICHITA -- and helps explain what distinguishes Tourneur's work, as well as providing interesting analysis of characters and relationships. I didn't agree with each and every point, but I found reading the book quite valuable and thought-provoking. I saved the chapters on the Tourneur films I've not yet seen, keeping the book handy to read when I see films such as STARS IN MY CROWN (1950), WAY OF A GAUCHO (1952), and APPOINTMENT IN HONDURAS (1953). 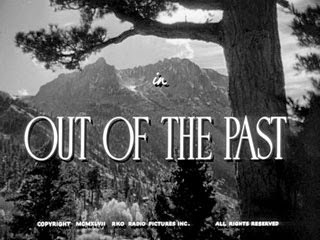 I'm also going to reread the OUT OF THE PAST (1947) chapter when I revisit it in the immediate future thanks to the new Warner Archive Blu-ray. JACQUES TOURNEUR: THE CINEMA OF NIGHTFALL was published by McFarland. It's a softcover book which runs 328 pages including the index. It's well-illustrated with photos printed directly on the pages. Some of the images are sharper than others but they all serve well to illustrate the films. 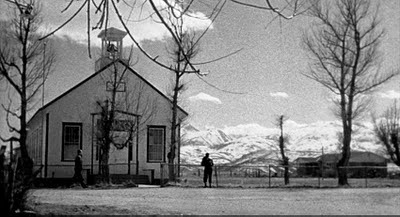 Related posts on Jacques Tourneur's location work in the Sierras: Out of the Past (1947) in Bridgeport, California and Bridgeport, California Movie Locations. It's time for a Disney news roundup! ...The Fall 2014 issue of Disney Twenty-three magazine is now available. Article topics include the new Ratatouille ride at Disneyland Paris, the art of 20,000 LEAGUES UNDER THE SEA (1954), and a look at a Disney Archives exhibit touring Japan. ...DVR Alert: ABC is airing a special, THE STORY OF FROZEN: MAKING A DISNEY ANIMATED CLASSIC, on September 2nd. ...Disney has applied for patents for drones it envisions using as part of a fireworks spectacular at Disneyland. ...Earlier this year Oswald the Lucky Rabbit began greeting guests at Tokyo DisneySea. As I commented at that time, "Oswald belongs at Oswald's Gas Station on Buena Vista Street in Disney California Adventure." Fantastic news from MiceAge: Oswald will be on Buena Vista Street beginning September 14th! For those who aren't yet familiar with Oswald, he was created by Walt Disney and Ub Iwerks for Universal Studios. When Disney quit his job with Universal -- after which he promptly created Mickey Mouse -- he lost the rights to Oswald. Disney regained the Oswald rights in 2006 in a unique trade for sportscaster Al Michaels. ...MiceAge also reports that the Fantasy in the Sky fireworks, last seen in Disneyland in 1999, will return to the park after the holidays, running until the 60th Anniversary fireworks show begins later in 2015. 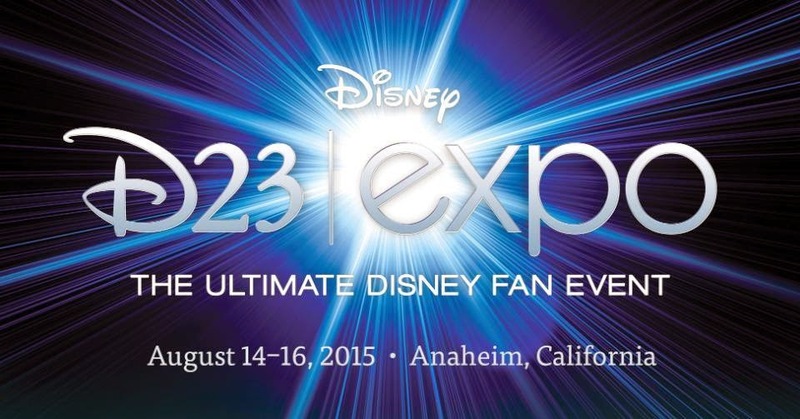 ...The dates for the 2015 D23 Expo have been announced. It will be held August 14-16, 2015, at the Anaheim Convention Center. ...Matt Ouimet, who was very respected when he ran Disneyland, is now the CEO of Cedar Fair, the company that owns Knott's Berry Farm. He was recently interviewed by Jim Hill. ...If you can't find pre-order pages for Disney DVDs on Amazon at present, there's a reason: Amazon and Disney are in the midst of a pricing dispute and Amazon has apparently removed the pages until the dispute is resolved. Films already in release may still be ordered. 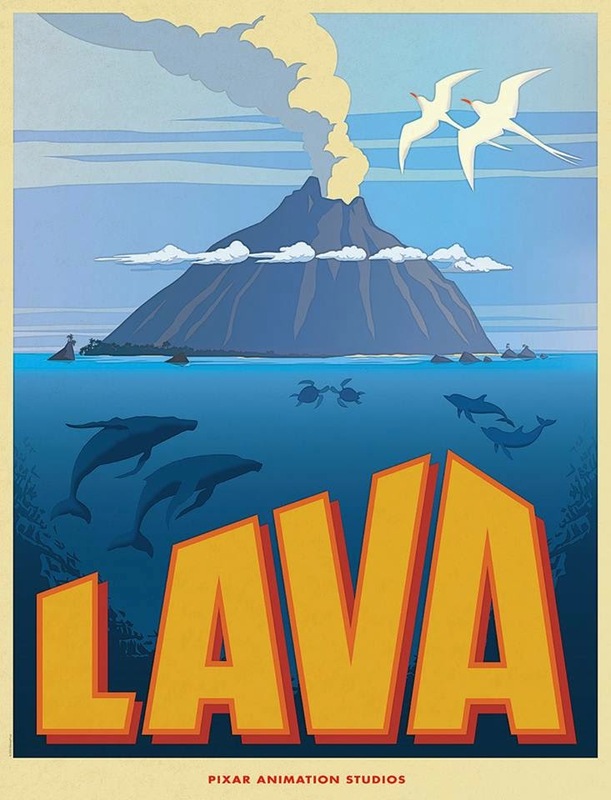 ...I love this poster for the upcoming Pixar short LAVA (2015). ...Pixar is said to have made extensive changes to the upcoming film THE GOOD DINOSAUR (2015). ...There's terrific new Cars Land merchandise at Disney California Adventure. ...Eye candy: Here's a whole lotta covers of Disney film art books. ...The Disney Insider shared Mary Blair concept art for ALICE IN WONDERLAND (1951), and Eat Drink Films has even more on Mary. 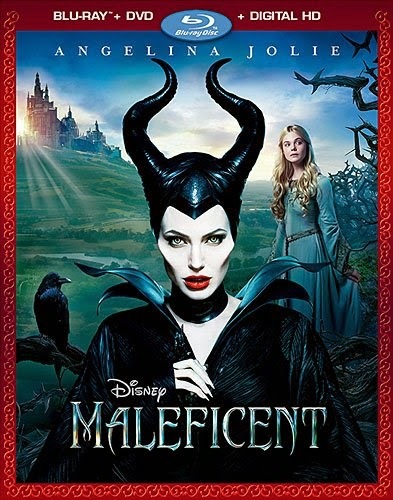 ...MALEFICENT (2014) comes to DVD and Blu-ray November 4, 2014. ...There was recently an interesting rumor that Disney intends to release the original theatrical versions of the original STAR WARS trilogy to Blu-ray. It has not yet been confirmed. ...Kevin Costner's Disney sports film McFARLAND USA (2015) has been moved from a November 2014 opening to February 20, 2015. Speculation is it's to keep it from being trounced by the new HUNGER GAMES movie. ...When James Garner passed away this summer, the Disney Parks Blog reminisced about his visits to the Disneyland Resort. 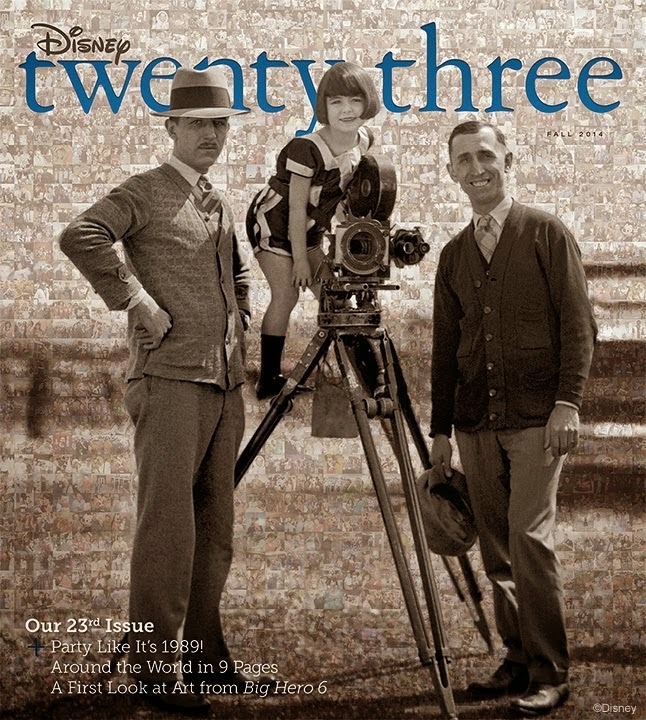 ...PBS has announced that a four-hour documentary on Walt Disney will air in the fall of 2015 on AMERICAN EXPERIENCE. 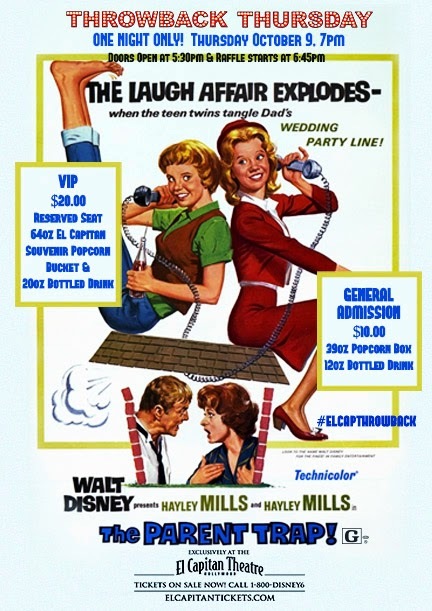 ...The next Throwback Thursday event at Disney's El Capitan Theatre in Hollywood will be a screening of THE PARENT TRAP (1961) on October 9, 2014. (I won't be able to attend as I'll be at the Lone Pine Film Festival.) Ticket information is here. The reduced $10 ticket price for Throwback Thursday screenings includes popcorn and a Coke. ...A FROZEN (2013) Sing-A-Long plays at the El Capitan through September 7th, followed by the return of TANGLED (2010) from September 12th through October 8th. Kristen Bell, the voice of FROZEN's Anna, recently surprised the audience at an El Capitan screening. 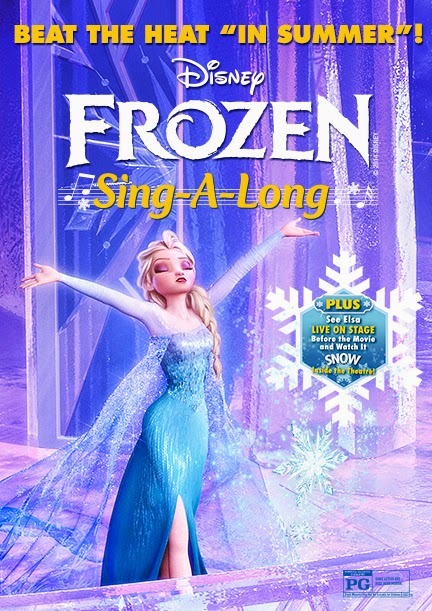 ...A FROZEN Sing-Along DVD is due out November 18th. ...Here are some of the latest park photos posted in the Dateline Disneyland column at MiceChat. Dateline Disney also has photos of the new Haunted Mansion 45th Anniversary exhibit at Disneyland, Ghostly Materials. ...And please visit my photo post from this year's Labor Day weekend visit to Disneyland! ...The next MouseAdventure game, titled Sugar Rush, is scheduled for Sunday, October 26, 2014, at Disneyland. For more recent Disney links, please visit the Disney News post for July.